As the staccato shots rang out, we joined hands and, together with the rest of the crowd, fled from the center of Gambella market. Moments later the embarrassed laughter of relief broke out as the crowd realized that we had all been running from a back-firing Bajaj (taxi). Tension and laughter; something that we in Gambella have been living with for the past few weeks. Sunday found us on the road to Bonga - home, in our opinion, of the best honey in Ethiopia. We passed soldier after soldier, their AK-47’s slung carelessly over their shoulders, now stationed along the streets in this Mezhenger-zone border area. Heart-breakingly, we heard that the bee hives of the Mezhenger people, their source of food and income, had been deliberately destroyed in the recent uprising in this region. Our destination was St Thomas’ Anglican Church in Bonga. It was wonderful to join our Anuak congregation there in a worship service permeated with peace. I was struck by the beauty of the quiet tears adorning the face of one woman as she raised her hands in thanksgiving and adoration. The Anuak plans to start a Mezhenger-speaking congregation in this area are discussed with excitement and enthusiasm, undiminished by either suffering or unrest. It is great to be part of what God is doing in the midst of the tumult and trust of walking with Him in this part of the world. Ethiopia is a majority Christian country. We enjoy freedom of worship. Christians are able to meet freely here without fear of reprisal. Well, most of the time. There are, of course, parts of the country where this is not the case. Two sad situations were reported to us recently. Both happen to have taken place near the Sudan border in refugee camps where people are vulnerable at the best of times. In one camp, Anglican Christians were meeting with a camp official who had given us problems in the past, denying the church various things. On this particular day the official seems to have been trying to put Christians in their place, attempting to show them ‘who was boss’, and to assure them that as refugees they had no rights (not true, of course, although refugees often have little knowledge of what their rights are). Our church members were asking for the camp to allow a priest to come to give them Holy Communion and to baptize their children. “Refugees have no God,” the official told them. “Refugees have no God”? What does that mean? - especially since it was spoken by a man who, as a Muslim, claims belief in one God. Does it mean, ‘Your so-called god has let you down. The one I believe in is bigger than your god’? And what of the underlying assumption, “You are sub-human. God does not care about you. You are not worthy of having your religious practices honoured and valued - you are mere refugees, unimportant people”? The lay reader who told me this story also assured me that attendance in the church in that camp has gone up recently. It seems these people have a God after all. A half day drive away in another camp a remarkable revival has been going on for several years. Every evening at sundown the children and young people of St John the Baptist Anglican Church gather outside the church for a half hour. They sing, they read a short passage of scripture which is commented on briefly, they pray for the sick. Then they all disperse to their homes for the evening meal and bed. Other churches in the camp have tried to model the practice. For some reason these other gatherings have fizzled after a week or two. God is doing something special in this particular church. It is not a technique, it is not something that can simply be copied. But a few weeks ago in the midst of their Evening Prayer, the camp police arrived. They took the pastor and all the children to the camp jail and told them that what they were doing was illegal. They were told to desist. Our pastor said, “No, we are allowed to pray. We will pray. If you want to imprison us for the gospel of Jesus Christ, we will suffer gladly.” They were finally released...too much trouble to keep them all locked up it seems. These stories of attempts to humiliate and dehumanize are in sharp tension with the over-arching story we find in the life, death and resurrection of Jesus. In that story we find that although Jesus possessed “equality with God” he did not consider that this meant living a life of privilege. He became downwardly mobile, entering our fleshly, dusty, muddy existence, giving himself for others, for us, for refugees, and for the proud, for victims and perpetrators, for his enemies and his friends. This story, encapsulated in Philippians 2:5-11, stands in contradiction to the stories of hatred, ridicule and oppression that are so common in our world. In the face of the attempts to dehumanize them, our people simply continue to sing and to pray, to build churches out of the mud and the sticks, because they know that one day all will become clear. One day “every knee will bow and every tongue confess ... that Jesus is Lord to the glory of God the Father.” One day the God of the refugees will be praised by every creature “in heaven and on earth and under the earth.” And the humiliated will be exalted together with the one who “humbled himself” for them, to live and reign with him. We have much to be thankful for. We have just finished our annual Area Assembly (like a synod or a convention) which brought together almost 200 representatives from our churches to worship, learn together and make decisions. There are signs of growth in depth and commitment among our churches here - makes a bishop’s heart glad. Give thanks for the recent Area Assembly (Nov 26-28, 2014) which brought together representatives from most of the churches in Ethiopia, and especially for the wonderful emphasis on repentance and reconciliation. 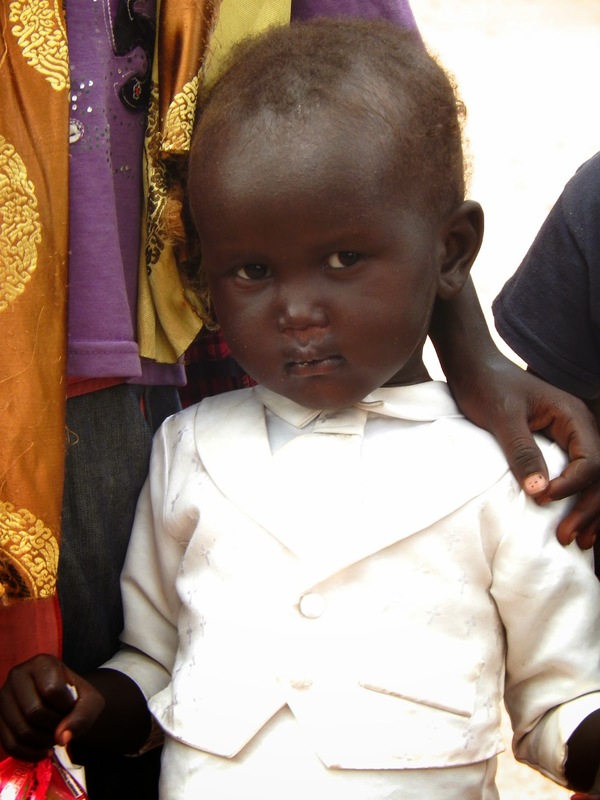 Give thanks for Johann and Louise Vanderbijl, recently arrived in Gambella. Louise is working together with Wendy on Mothers’ Union projects and Johann is preparing for the opening of St Frumentius’ Anglican Theological College. Pray for churches in refugee camps that God with be present to them in all their joys and struggles. Pray for several pastors who have had difficult family and personal issues to deal with recently. to continue to open there. Pray for God’s provision of finances for St Frumentius’ College, for clergy salaries and for many other needs. Pray for the upcoming ‘discernment conference’ and for those who are praying about their call to ordained ministry. Pray for peace in South Sudan. Pray for the several visitors coming to Gambella in the next two months.